COLOUR ME RED: THE ETHICS OF STYLE IN DIAMOND VALLEY LEADER. 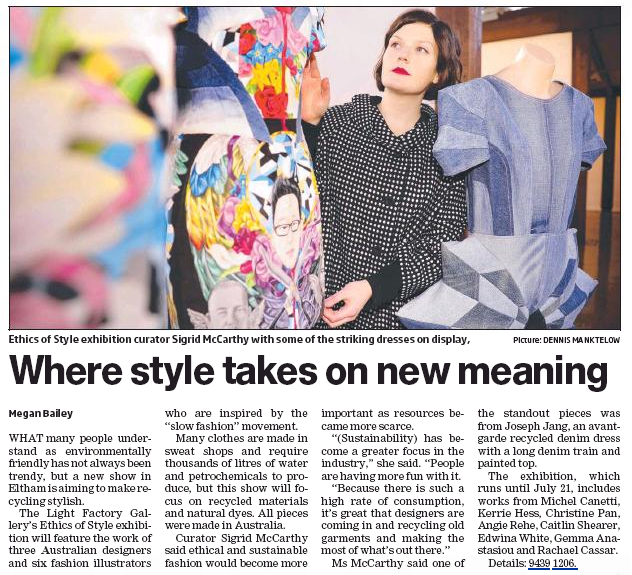 THE ETHICS OF STYLE IN DIAMOND VALLEY LEADER. Today I make a cheeky appearance in the Diamond Valley Newspaper. Here I am standing among Joseph Jang's recycled denim designs. COUPLE STYLE: URSINA & DOMINIC.